During the French Romantic movement in the 19th century, one of the most innovative was Jean-Baptiste Carpeaux, a very talented sculptor. He was a student of François Rude, a very important sculptor in France. Carpeaux was regarded as Medardo Rosso’s and Auguste Rodin’s precursor. 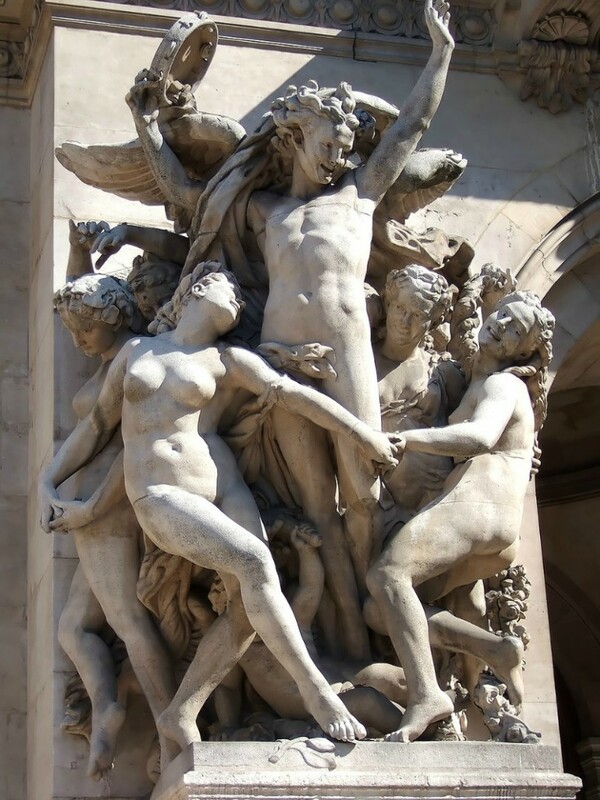 In his abbreviated career, he was noted for his large scale sculptures such as “La Danse” that was deemed indecent, and “Ugolino and His Sons,” which are both at the Musee d’Orsay. He also did portrait sculptures like “La Negresse” and “Antoine Watteau.” The sculptures from the Italian Renaissance period had the most influence on the works of Carpeaux. He was notable for his expressive romanticism, which was a remarkable shift from the spartan style of sculpture of the Neoclassical period. Carpeaux opened the door for Rodin’s naturalism. Jean-Baptiste Carpeaux, whose family were stonemasons, was born on May 11, 1827 in Valenciennes. He started his apprenticeship at a very early age in the studio of Debaisieux, a plasterer. He was required to study drawing, which he took at the Academy of Painting, Sculpture and Architecture in his hometown. He was 11 years of age when his family moved to Paris in 1838. In Paris, he entered Petite Ecole and stayed there for five years. As the school was established for industrial workers’ children, the school taught several types of woodwork, horology, engraving, masonry and enameling. Like most art students during the 19th century, Carpeaux also studied by copying the works of sculptors from the 18th century and prints of the drawings of great Renaissance artists. Carpeaux’s interest is plastic art was probably spurred by the new headmaster of the school, Hilaire Belloc, who placed importance on its study. Carpeaux was such a talented student that it was deemed that he was not suitable to just be a tradesman when he was only 15 years old. He entered the French Academy of Fine Arts and work in François Rude’s studio. At that time, Rude was one of Paris’s most famous artists of the Romantic period. He did not stay long with Rude though and instead joined Francisque Duret’s studio in 1850 at age 23. Duret was a teacher at the Academy and he guided and honed young Carpeaux’s talent. Under his mentor, Carpeaux sculpted “Achilles Wounded in the Heel” that received an honorable mention, which was a first for the young artist. He later created “Philoctetes on Lemnos,” a piece that received second place. For the “Hector and His Son Astyanax” group study, Carpeaux received the Grand Prix de Rome in 1854. To further his studies, Carpeaux relocated to Rome in 1854. He was also intent on taking a closer look at the works of Andrea del Verrochio, Donatello and Michelangelo. Two years later he was admitted to the Villa Medici and embarked on a five-year course to study more complex bas-reliefs and sculptures. As he was fully concentrated on his studies in Rome, Carpeaux was able to hone his skills and focus on his studies. Like many other students at the Villa Medici, he was required to create a marble statue on his first year. His prime masterpiece was “Fisherboy with a Shell,” which was shown by the French Academy in 1858 as part of their exhibit. In 1863, Carpeaux created a marble version of the same piece and showed it at the Paris Salon. Carpeaux also sculpted “Girl with a Shell” many years later. 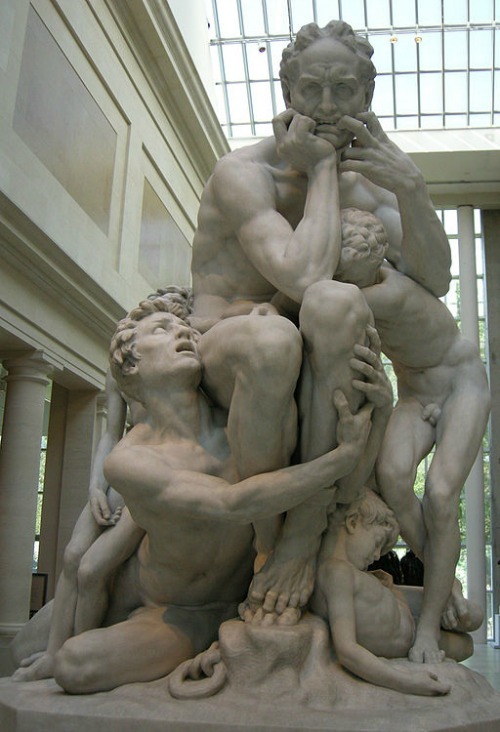 “Ugolino and His Sons” that Carpeaux created was based on a scene from the Divine Comedy of Dante. It was a multi-figure sculpture that depicted Ugolino on the verge of temptation. Carpeaux was able to capture that moment of horror and indecision whether to eat or not eat his sons and grandchildren, who were begging him to do so since they were already dying. This particular work catapulted Carpeaux’s fame. The French Ministry of Fine Arts had a bronze sculpture of Ugolino and Sons made when Carpeaux returned to France. It was exhibited in 1863 at the Paris Salon. Afterwards, Carpeaux was inundated with commissions. Orders for his work dwindled when the Second Empire fell and he created only a few monumental sculptures and more of small portraits, such as “Bacchante with Lowered Eye,” “The Genius of the Dance,” “Amélie de Montfort” and the particularly arresting “La Negresse.” The latter showed a colored woman with a rope wound around her chest and arms. The sideways turn, which was reminiscent of Michelangelo’s style, aptly depicted the woman’s dynamism and energy. He also did various portraits from many imperial commissions, such as “Antoine Watteau,” “Alexander Dumas Fils,” and “Napoleon III.” He likewise created a late masterpiece, “The Four Quarters of the World” for a fountain in Paris. It was unfortunate that cancer ended Carpeaux’s life and career at age 48. He was bestowed the Cross of the Legion of Honor two months before he died. Carpeaux was a dynamic sculptor. He broke away from traditions and introduced naturalism, emotion and freedom to his work, something that was unseen before. Some of his students included Jean-Louis Forain, Jules Dalou and Olin Levi Warner.